What are Insurance and Investigative Transcriptions? Proving the innocence or guilt of someone in the field of law is always a tricky business. Not only is there so much jargon, difficult-sounding Latin words and the like, there’s also the fact that cases can devolve into basically sophistry sessions where whoever can twist the other party’s words the most wins. As such, the strength of your case will often depend not so much on your evidence but also on your lawyer’s eloquence and credentials. However, this is not to say that evidence in law is useless and should not be prioritized as much as finding the greatest orator around the block to field against the other party’s lawyer. The power of evidence in court should not be underestimated. No matter how eloquent a lawyer can be, presenting what is essentially bogus, falsified evidence, or even too little evidence in court, is a surefire way to get a case benched and dismissed. When it comes to the legal world, there is no other place where the importance of accurate evidence is as paramount as it is in investigative cases. For this reason, many legal practices usually ask for investigative transcriptions from transcription services. Investigative transcriptions, simply put, are transcriptions of evidences gathered from investigations conducted either by law firms, detectives, or the authorities. The kinds of evidence can range from something as seemingly mundane as the fact that Mr. X forgot to pay back the $3.00 he owed Mr. Y, or that Ms. M was ripped off by Mr. N who sold him grossly overpriced bananas, to something more serious-sounding such as a phone call that proved Mr. A cheated in the local mayoral elections, or a recording of Mr. B confessing he murdered Mr. C.
In essence, whenever something or someone presents an evidence made into audio or video format which can be used in court, that audio or video can be given to transcription services to work on. There are many types of transcriptions that fall under the banner of investigative transcriptions, some of them with cool-sounding names such as crime scene investigations (think CSI or Hawaii Five-0), medical investigations (Medical Investigation–type things), or forensic investigations (like those in Forensic Files). There are also the less awesome-sounding ones but are important nonetheless such as insurance investigations, property investigations, scientific investigations, and the like. Out of all the examples mentioned above, insurance investigations deserve special mention for these are rather common in today’s world where everyone seems to have some kind of beef or dispute to settle with their insurance companies. 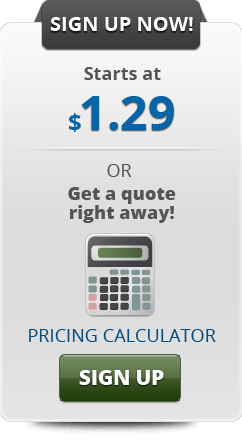 Insurance investigations, as the name explains rather handily, are investigations about insurance claims. These investigations delve into the nitty-gritty facts of an insurance case, and as such gathers quite an enormous amount of data in various formats. These include insurance statements issued by one party or another, insurance and damage reports to show the insurance company that damage has been done to something, as well as agent summaries and file interviews. 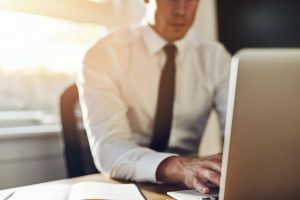 In order to raise efficiency, legal firms make use of transcriptionists who offer different types of legal transcription services, to work on these kinds of files and data in order to present a transcript that is much easily reviewed than, say, hour-long private hearings or interviews. These transcripts can then be used to review pertinent facts and evidences, and can even replace audio and video recordings themselves when needed — although nothing quite beats auditory and visual data in court hearings. Investigative transcriptions, like all legal transcriptions in general, must be as accurate as possible and as close to the source material as it can be so that no essential data is lost. Data in these types of investigations are very important, so much so that it is not an understatement to say that these cases hinge more on who can deliver the correct data at the right time, than getting a good lawyer who knows his way around the court (although this is still important). As such, consider hiring a quality legal transcription service that can provide you good quality transcripts at fast turnaround times with affordable rates. What are the Different Types of Legal Transcription Services? Legal transcriptions are in a league of its own in the world of converting audio files to text. With an insurmountable amount of information and fact-exchange to reach a verdict between two opposing parties, using legal transcription services is the norm for attorneys, lawyers and anyone with legal authority. Legal transcriptions help increase efficiency and organization at work making it easier to build cases and gather facts and evidences. As a result, legal practitioners are able save money and time so they can focus on what they do best. Due to the nature of legal proceedings in court, accuracy is extremely vital. Hence, verbatim transcripts are requested, requiring transcripts to include each and every utterance such as ‘ums’ and ‘ahs’, and sometimes even non-verbal cues determined from live interactions or video recordings. In addition, transcriptionists working on any type of legal transaction must have swift typing skills and has to be familiar with specific terminologies. Attaining certain certifications for court reporting and legal transcription might also be a requirement, albeit it is not as strict compared with stenographers. The American Association of Electronic Reporters and Transcribers (AAERT) offer legal certifications and some states require these before passing the work to transcription services. Legal transcription services are important and generally offer several types of services, all of which are used in varying frequency depending on specific cases. The benefit of transcriptions is evident in any legal work and transaction but it differs in the area it’s required. These are submitted in the early stages of a case. A pleading is a formal written statement wherein a given party submits their claims or defenses. This statement essentially forms the basis of the case, and the issues to be argued about. A typical pleading is usually one wherein the plaintiff submits a complaint stating cause of action. The defendant then forwards an answer stating his or her defenses, or a counterclaim against the plaintiff. Arguably all legal transcription services offer transcriptions of pleadings — this is where the basic facts to be argued about are stated and where a whole case begins. Therefore, it can be considered as the most important of all legal documents. Subpoenas are legal documents issued by a court that requires one party to appear before it in order to either testify or to bring physical evidence that can be used in the case. Meanwhile, summonses are legal documents informing a person that a case has been filed against him, therefore his presence is needed at the court at a specific time and date. Subpoenas and summonses can be given to transcription services in the form of note-taking work, saving time by being organized, and keeping legal professionals creating cases, instead of spending time looking for details like who testified or presented in court. A sworn statement is a document that provides facts required in a legal proceeding. These statements are made in lieu of testimonies given in court, which, although allowing for greater fairness and the likelihood of obtaining truth, are expensive, time-consuming, an d rather troublesome to arrange. On the other hand, sworn statements are made without the presence of a notary public, but do include a paragraph indicating that it was made under penalty of perjury. Transcripts are practically required when dealing with sworn statements, being a part of a deposition. Transcripts help build the validity of sworn statements, they can also be used as evidence in court in place of a testimony. A deposition is defined simply as a witness’s sworn out-of-court testimony. They are mostly used by attorneys for gathering information and building their case, hence lawyers find deposition transcriptions to be exceptionally helpful in getting facts. If done by a quality legal transcription service, these transcriptions become a powerful tool with the usage of details in court and present better and stronger arguments. Recordings of witnesses or suspects being questioned by a legal authority can be an effective tool in facilitating an on-going case. Law enforcement personnel such as police officers often require their recordings to be transcribed by a legal transcription service verbatim to study a suspect’s behavior. Defendants may be interrogated separately from a court proceeding and have their conversation transcribed by legal authorities as accurate as possible to study possible lapses in their speech patterns, facial expressions and even their non-verbal signals such as head nods and determine their intentions. These recordings are usually prioritized to transcribe, much like wiretaps and telephone recordings. If done by a quality legal transcription service, it can dictate the proceedings in court by noting the small details captured in audio to text. Many legal professionals work on analyzing nuances, non-verbal cues and utterances to put arguments or issues to light. Law enforcement individuals not only utilize these transcripts to study a suspect’s behavior and are also kept for archiving. The term “hearing” is a bracket term which refers to a number of legal proceedings done in front of a judge or magistrate without the presence of a jury. Hearings are considered more informal ways of resolving disputes as they often do not share the more restrictive nature of such legal proceedings as a trial. Hearings include arbitration hearings, court hearings, administrative hearings, judicial hearings, among others. Although informal, transcription of hearings in a text format may prove fruitful to note witness testimonies, cross-examinations of each witnesses of both sides in court and their defense as these provide a good amount of in-depth information about the case, especially if studied by upcoming students of the law. On the other hand, it gives legal authorities a certain point of reference as to where the court is proceeding and utilizes these hearings to plan and strategize their next step in court. Legal interception and monitoring of phone calls and recording them are just some of the surveillance methods used by legal authorities to build a case. Much like interrogations, these are transcribed verbatim to study speech patterns or important details that would be essential for legal disputes as phone calls and wiretaps are needed to solidify presented statements and evidences. Naturally, transcription requests of this nature demand a higher rate and are almost coveted in a sense amongst transcription services. Verbatim transcripts of this nature are usually given only to the best of the best legal transcriptionists and as its mantra goes, it should be as close to 100% accuracy. Memorandums are informal notes that can be used in a legal proceeding to prove that an agreement or a certain kind of contract was made between two parties in agreement. Taking note of each memorandum in legal proceedings is paramount to keep statements presented in court on track and cohesive in parties involved in the argument and they can easily be recalled when being presented in court as a physical document. Legal professionals are time-constrained all the time when working up their case, pouring over notes and facts, as well as attend court proceedings. To save time and focus their attention at work they dictate important notes, documents and reports that are worth looking at on a later time and rely on transcription services to having these transcribed, ready for further analysis. Meetings and conferences can also be transcribed in text, bringing out the keywords that may prove to be useful or to take note of during meet ups with clients or workers. It not only saves time for the legal professionals but it also eases the workload to focus more on creating arguments and debates for the case. Although very helpful, it is not always transcription companies that produce transcripts for court and legal proceedings; legal transcription services may be cheaper and practical, there are some firms and as some are very keen on keeping their cases in-house, hiring their own legal transcriptionists. Nevertheless, establishing a good business partnership with a good and quality transcription service to handle legal transcriptions prove well to be an asset in easing the ever pressing workload of those who study and practice the law. The art of finding the right people to hire into a company is just that: an art. People who have experienced working in the Human Resources department can attest that it takes copious amounts of time and effort to pick one person fit for any given job out of the crowd. It’s even harder to determine if he or she truly is the right one to interview. The interviewing process itself requires more hard work — not only should the job applicant’s resume be read, checked, and cross-referenced again and again, but it must also be understood fully so that the interviewer can ask the right questions and steer the conversation into the correct tangents and overall direction. With all of that said, it may sound as if transcripts have no place in this chaotic space of hiring an employee. However, this is far from the truth. Transcripts can and will help any HR person looking to address the dilemma of hiring the right person for the company. Listed below are some of the most important ways in which having interview transcriptions would help an HR person. It allows you to analyze your applicant’s behavior. There is a lot that can be found and understood based on the words that someone uses when speaking to people. Having transcripts would allow you or your HR department folks to look at these words, and analyze them to find out their suitability not only with their would-be coworkers but also with the company’s unique culture. It lets you streamline your interview process. Having transcripts would allow you to review all of your own questions which will help you eliminate questions that seem redundant or yield more or less the same answers and replace them with questions that make more sense and are more beneficial to ask. It is also beneficial for the job applicant. 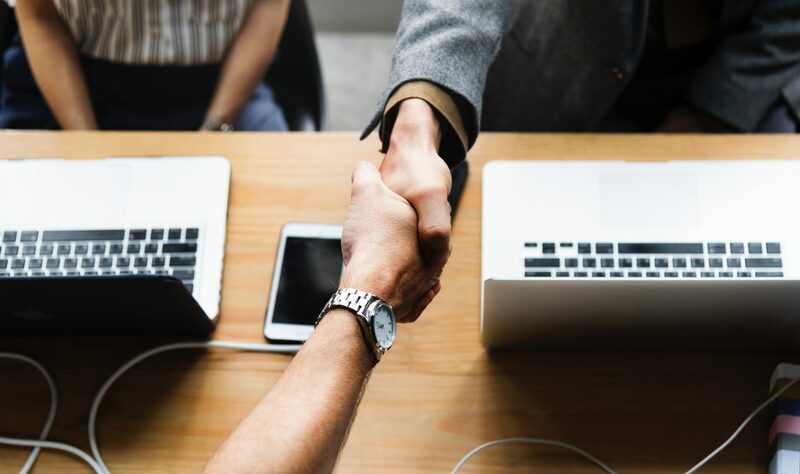 The benefits of a job interview transcript are not only limited to you, the employer, for it can also benefit the prospective employee in several ways. Chief among these ways is the fact that you can give the employee advice – whether he gets accepted by the company or not – on how to improve his or her answers and how to present himself or herself better to prospective employers, thus increasing the chances of them being hired or noticed and promoted within the company. The job applicant will also be grateful and will work harder for your company, so it also works for the company’s benefit as well. It lets you check for discrepancies in a job applicant’s resume. There is a reason why many employers ask people to recite his or her skills and previous job experiences, and it has nothing to do with not being able to read his or her resume on time (although that does come into play once in a while). The reason is that employers want to check the job applicant’s answers to look for any deviations and differences between the answers they would give verbally and the answers listed in the resume. Having transcripts would greatly help the employer in checking the answers given by the job applicant, and even ascertain whether he or she is lying in the process. The abovementioned points are, in a nutshell, the greatest and most important advantages of having a transcript of the whole interview process. It is important, however, to also consider what kind of transcript to use, whether transcripts done in smart verbatim or in pure verbatim. Transcripts in pure verbatim – that is, each and every utterance and sound made during the interview is included in the transcript – would be a much greater help than having only transcripts in smart verbatim, because it would be much easier to look at the stutters, inflections, grammar mistakes, and other such things that will better help you in analyzing a prospective hire’s answers. Whatever kind of transcript to request for, it is also important that you choose the right transcription service that can give you accurate and fast transcriptions, for having even the slightest mistake in these transcripts would be disadvantageous for your company by letting you make the bad mistake of hiring someone who is not even fit for the position. Therefore, choose the right transcription service so you can wisely choose the best job applicant for your business. Have you thought about ways to earn a stable flow of income while staying at home? If yes, then you may have come across transcriptions as one of the most popular and in-demand job that you can apply for. 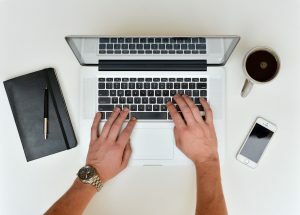 There is no shortage of job openings for any aspiring transcriber and you’ll find that the requirements needed for this type of work are usually just a working computer, earphones, and good internet connection. Nowadays, being a certified transcriber is much easier compared to the past since various associations that provide certifications now exist. However, once you start applying for the job, you’ll notice that employers usually ask if you have experience as a transcriber or not. Moreover, your employer will test your typing speed, grammar mastery, and auditory skills — gauging your rank and pay grade from there. What then, if you have no experience? Don’t fret. Even the best transcribers have to start somewhere. Although, having ample knowledge about the business of transcriptions will certainly give you an edge on the competition. You may be thinking that a transcriptionist ties closely to data-entry. While they may belong to the same premise, there is a unique difference. Data entry leans on transferring a written material to a better one, making it more readable and easier to understand, whereas transcriptionists works with a recording and transcribes audio to a written form. Transcriptionists are sought after as they save researchers, niche markets, and a wide range of other businesses, a significant amount of time by producing transcripts of meetings, conference calls, and interviews while they focus on more pressing matters. Transcriptions can be divided into two separate business platforms: Human and Automated. Human transcriptions offer greater accuracy and quality due to their flexibility and ability to do research, though admittedly, they are slower and more costly compared to automated. On the other hand, automated transcriptions are great if a client requires a rush transcript. However, this risks the quality of the transcript which is why transcription services usually have proofreaders for voice-to-text cleanups. Since machine learning is still a developing technology, humans are still the better option when it comes to accurate transcriptions. In addition, multiple transcription services now offer rush transcripts for those with upcoming deadlines. Knowing the difference between the two is essential since it gives you a hindsight on what to expect for your first few transcription requests, especially if you decide to work for a transcription service. As a beginning transcriber, starting with general transcription requests is highly recommended. These are usually interviews with very clear audio, with two people speaking in little to neutral accent. The topics in these requests are general in nature and does not include complex terms. An example of this would be interviews about product responses for market research. General transcription requests are great for building up your pace in transcribing and preparing your ear for the more challenging ones like legal and medical transcription. Unlike general transcripts, these are more difficult due to the number of complex terms you need to familiarize yourself with. This is especially apparent in medical transcription. On the other hand, when it comes to legal transcripts, services look for transcribers with a sharper ear who can handle multiple speakers and can catch every little utterance or nuance in the audio recording. Once again, it is highly recommended to start with general transcriptions so you can get a good grip on how things work as well as practice to get to median level, before tackling more challenging requests. It is also advisable to take note of any terms you may come across. Even the best transcribers keep note of topics they have been assigned to and their experience with them, making the quality and timeliness of their transcripts stand above the rest. There are times that you’ll be assigned cases with the same topic you’ve worked on before so not only will you find it much easier to transcribe it but you’ll also be able to finish them at a faster time frame. You may even find yourself enjoying a topic that was assigned to you. Since transcriptions can cover anything under the sun, you might get something that you are innately familiar with. Once you get the hang of it, you’ll get better and better in quality and speed. Many transcription services offer a reward system for transcribers who consistently put good and quality transcripts. That is why transcription work can become very lucrative for some freelancers. Knowing your way around transcripts and familiarizing yourself with terms are the keys to starting your transcription work in the right places. Although, getting transcription experience is not as easy as it sounds and the science and art of transcribing has arguably a very steep learning curve due to the variety of topics you would come across. However, there are plenty of ways to build your experience and improve the quality of your transcripts regardless of varying difficulty. With enough practice and experience, you’ll eventually pave your way as a top-notch transcriber. In this day and age where everyone consumes and produces recordings, either the audio or video kind, transcripts are an on-demand add-on that makes data gathering for work or for leisure a whole lot better. This saves you time in going through yesterday’s recorded meeting, just because you missed to take note of that deadline you have to beat, or rewinding an old focus group discussion for the sole reason that you failed to jot down one respondent’s last name. In this sense, transcripts provide the option of skipping the tedious process of playbacks, and instead, offer a fast and easy mode of information collation in text format. This process of converting audio or video recordings to written documents is done by transcriptionists. They are individuals who labor in capturing all spoken dialogues (sometimes, even gestures) as precisely as possible to match the one on tape. Legal transcriptionist, where most of the files they handle are court hearings, client or organizational meetings, and deposition interviews. A practitioner of law, or otherwise, are expected to know their way around legal jargons and definitions in order to follow the flow of the conversation per assignment. Health transcriptionist. Often, they work on dictation files from medical doctors in need of archiving their patient records for the day. These transcribers may also work on various market research interviews or focus group discussions that are centered on science or biotech advancements. In order to produce client-ready files under this category, one must be thorough in getting all medical terminologies and procedures right. IT transcriptionist. These individuals translate recordings into text that concern technology in its broadest sense. Those specializing in IT transcripts may find themselves typing out an international conference discussing machine learning or corporate meetings targeting brand development. Truly, it’s a no-brainer that these transcribers are tech-savvy and are up-to-date with the technological advancements there is in the market. Business transcriptionist, where they take note of recordings ranging from the topics of finance, marketing, and economics. They mostly labor on producing written versions of business meetings and reports. Not only do these transcriptionists know a company’s structure from the ground and up, but they are also familiar with the way these various industries run. General transcriptionist. They work on recordings about anything under the sun. This bunch may be transcribing an episode from a renowned television show to a newly-released podcast by a start-up company. Without really knowing what assignments they might get next, general transcribers take the time in educating themselves briefly about the topic at hand and researching all important details that might be mentioned in the recording. How to be a Certified Transcriptionist? Have strong listening skills. There is no one formula for a recording. They may vary in length, quality, and type. Whether it be a crystal clear in-depth interview of only five minutes long or a very muffled focus group discussion running for two solid hours, a good transcriber should be able to translate the recording into its text version as accurately as possible. Have good research skills. Unless one sticks to their specialization religiously, a transcriptionist may work on files ranging from the topics of medicine, entertainment, and marketing, among many others. With this, research becomes vital in catching heavy jargons, as well as proper nouns mentioned in the recording. After all, being able to type out every dialogue is only good if the transcript is of high accuracy. Have keen attention to details. Clients may request for verbatim transcripts. This type requires every single utterance transcribed – from all the uhms and ahhs, to the repetitive kind like ofs and sort ofs. No matter how difficult the recording is, how fast the speakers may talk, or how noisy the background is, an excellent transcriptionist should be able to take note of what’s being discussed in the audio or video file – no more, no less. Observe proper grammar, capitalization, punctuation, and spelling. Client-ready transcripts are not only precise to the core but they should also be typed out neatly and correctly. When working with written documents, it is a no-brainer that practicing proper mechanics is a must. Be diligent and patient. As mentioned earlier, converting recordings to written reports is not that easy. Rewinding the audio again and again, only to catch that one sentence the speaker said, can be frustrating at times. Laboring over a three-hour long meeting that comes with multiple crosstalks among its participants can be overwhelming too. With all these issues tied to transcription work, one must be hard-working and patient enough to come up with clean and complete transcripts. Be able to beat the deadline. Transcripts, much like any other report or project, are to be delivered on a deadline. Efficient transcribers make it a point to work on their files and be able to submit them at a timely manner, withstanding every issue they may encounter, without sacrificing the transcript’s quality. Good pair of earphones. With listening being the key effort in this industry, it is only right to invest on a set of high quality earphones. When working on difficult recordings, trust that an excellent pair can give you an extra boost in your transcription labor. Transcription software. 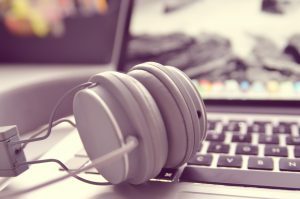 Instead of opening and closing the default audio or video player on your computer to play or pause the recording, feel free to download a transcription software to make transcribing a lot easier. Express Scribe is a good example as it allows the use of hot keys or foot pedal, which makes controlling the recording easier — the options play, pause, rewind, or fast forward are just a tap away. Reliable internet connection. Now, more than ever, internet is automatically essential when working. Collecting the recording for transcription and then sending the accomplished document back to the client may be done through the web. As for the work itself, fact checking may be acquired in just a split second, all thanks to Google. Having a reliable internet connection now becomes a need more than just a want, more so if you’re transcribing at the comforts of your home. 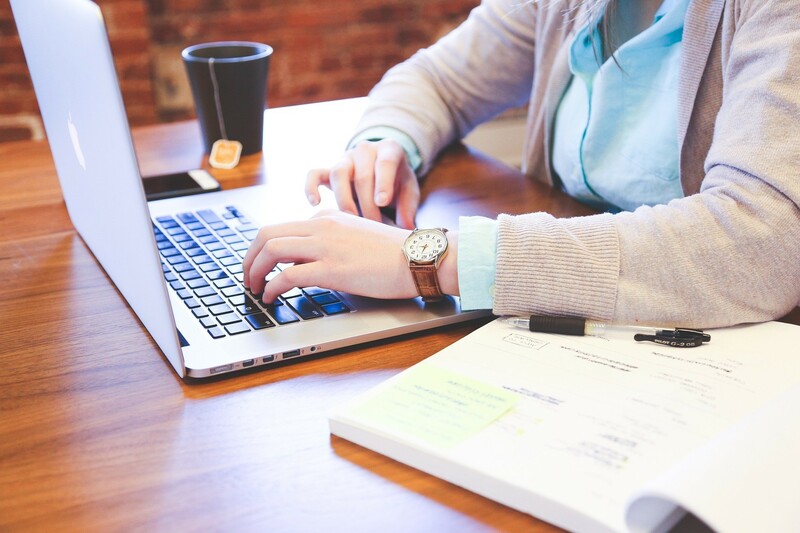 While there are no standard qualifications required in becoming a professional transcriptionist, there are various associations that provide certifications to individuals who are interested in mastering the field of transcriptions. The National Court Reporters Association (NCRA), for instance, certifies Registered Professional Reporters (RPR). Unlike regular legal transcribers, RPRs are assigned to handle court reports solely. As most things legal contain heavy sensitive and confidential matters, some states consider additional licensure and training vital to those working on court transcripts. Meanwhile, for the medical field, the Association for Healthcare Documentation Integrity (AHDI) is one organization that offers training courses to prepare those interested in making health transcriptions a profession. Aside from being equipped with modules and webinars, AHDI also grants Registered Healthcare Documentation Specialist (RHDS) and Certified Healthcare Documentation Specialist (CHDS) examinations that may be considered strong add-ons to a veteran’s or a beginner’s transcription credential. If you’re thinking of starting a career out of transcriptions, now is the perfect time to do it! Pursuing the general transcription route, to begin with, is the best way to go. 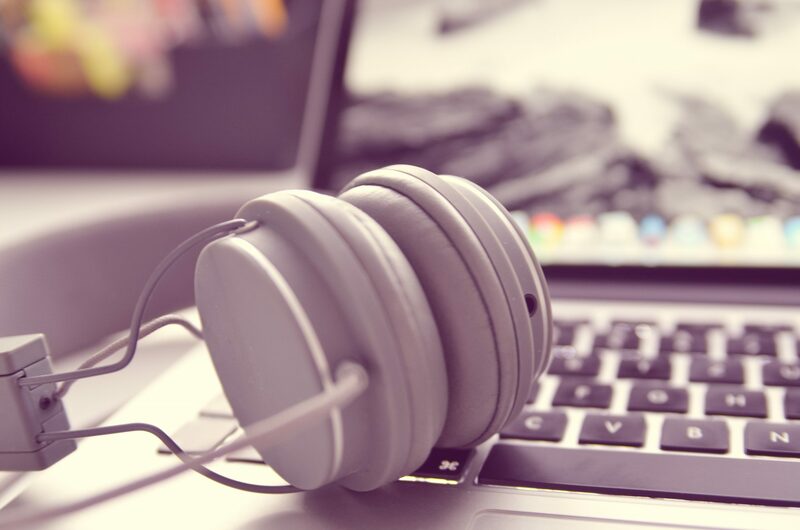 With audio and video recordings about all sorts readily available on the internet, transcribing online is a good exercise to becoming an efficient and effective transcriber. After all, practice makes perfect, right?